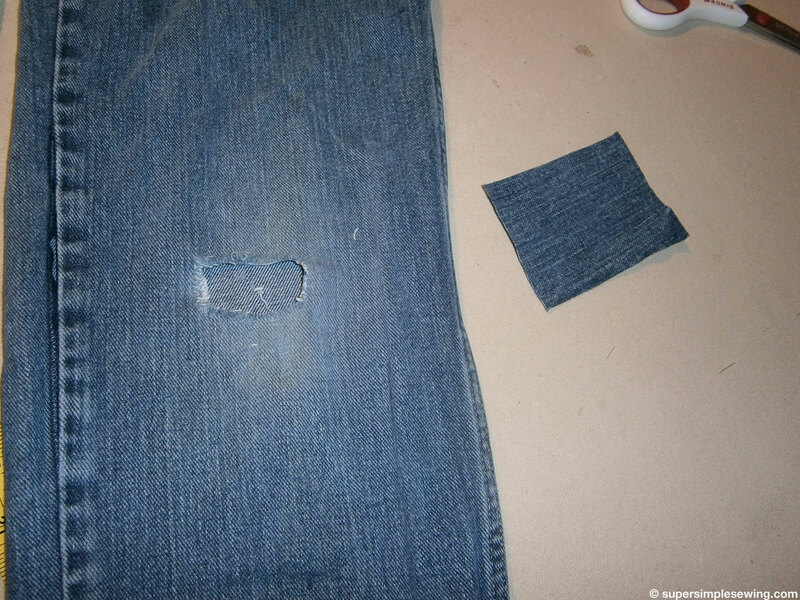 Sometimes the hole in your jeans is not meant to be there. 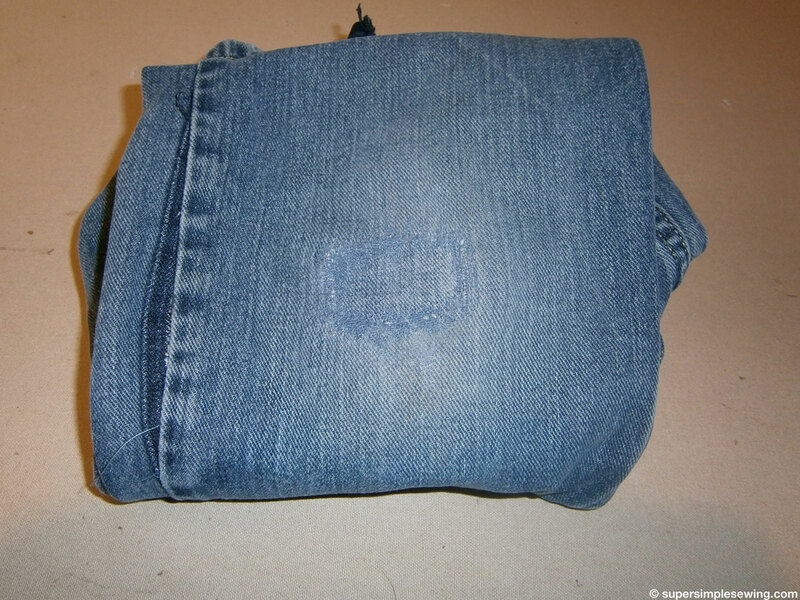 While this a patch is still visible it is a very strong patch and less noticeable than and outside patch. Cut patch from desired fabric 1” beyond on all 4 sides. 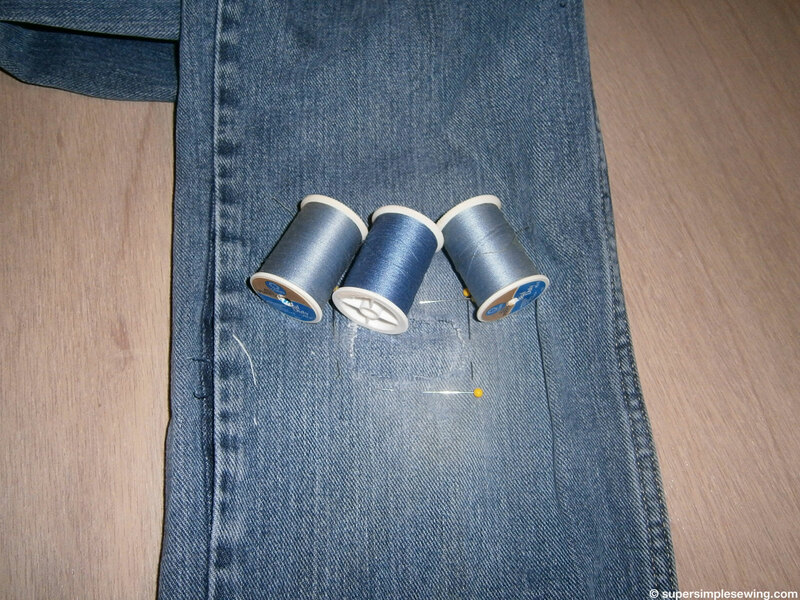 Find a thread that will compliment the jean color, because you will see the stitching. 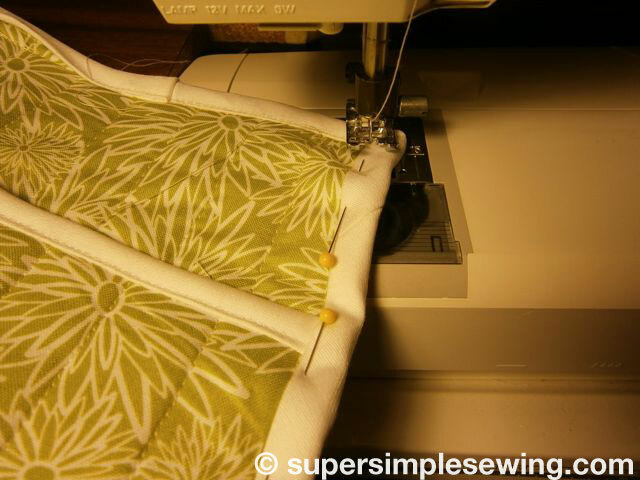 Straight stitch close to the edge all 4 sides. 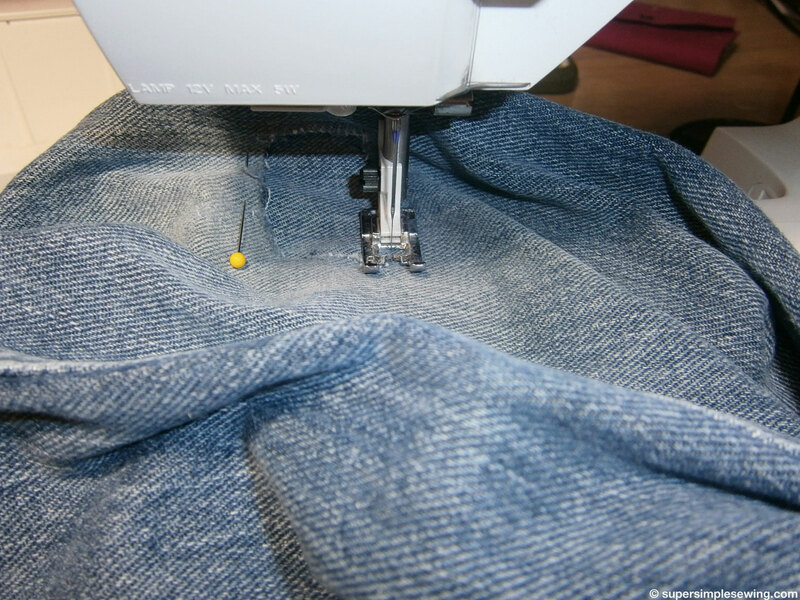 Be sure not to catch the pant leg wile you are working through the side seam. 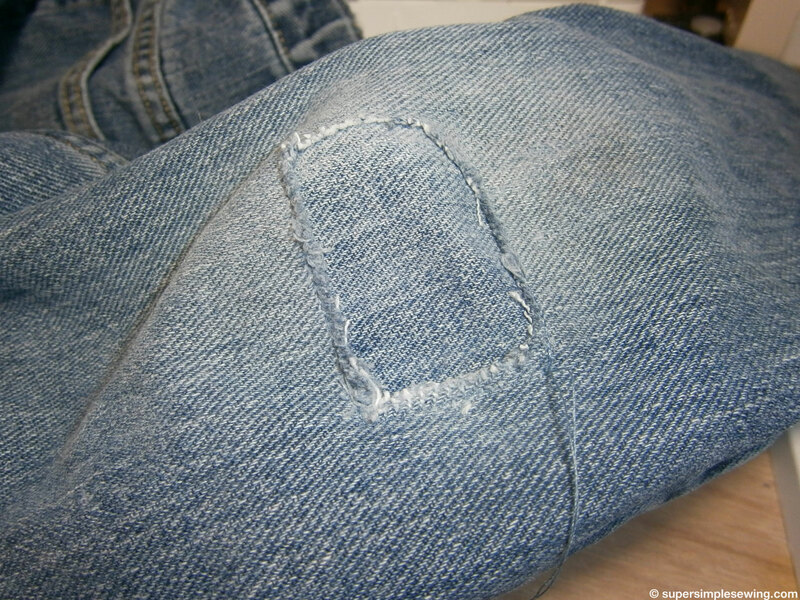 This is how it will look after sewing. 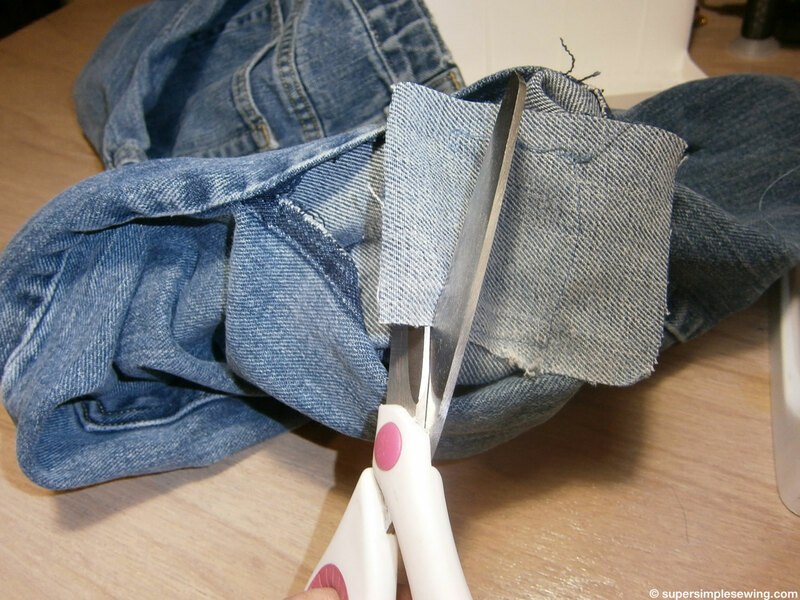 Trim away excess on the back, leaving 1/4” all sides. 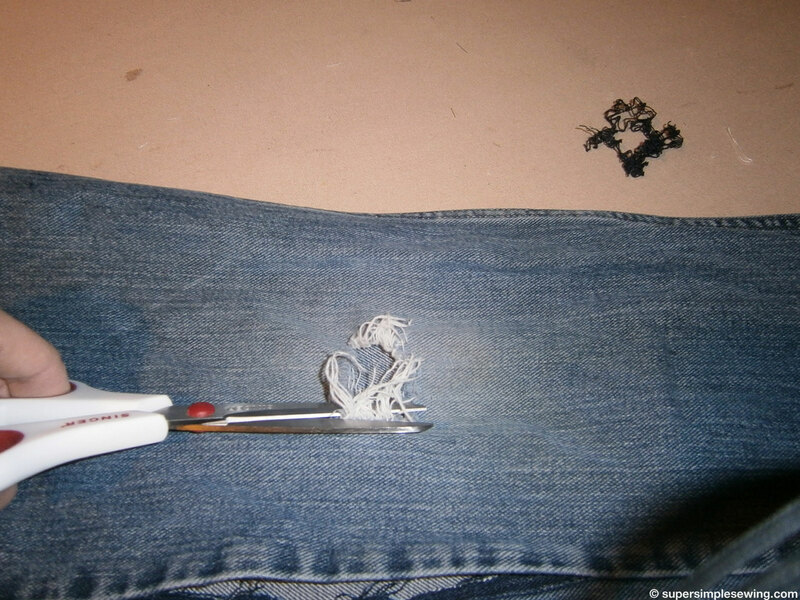 From the right, stitch back and forth repeatedly to cover the raw edge completely. 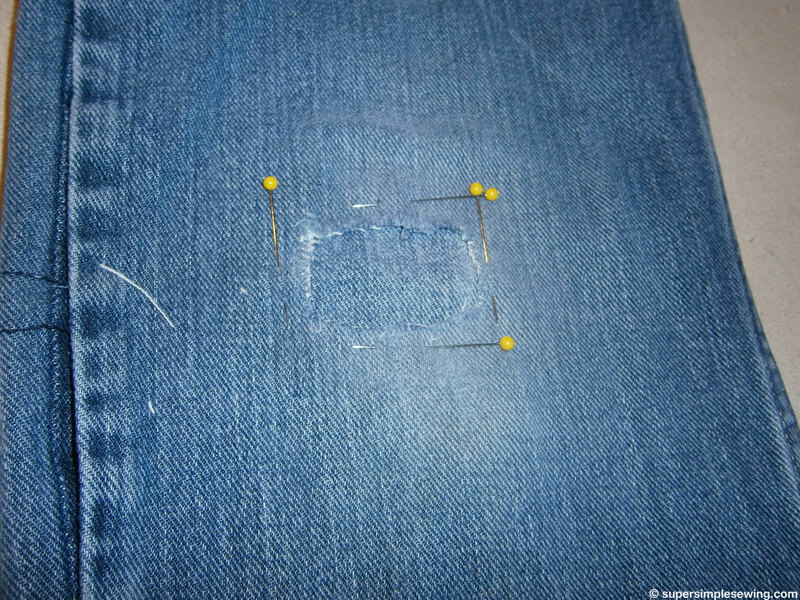 If you have a darning stitch use it here. 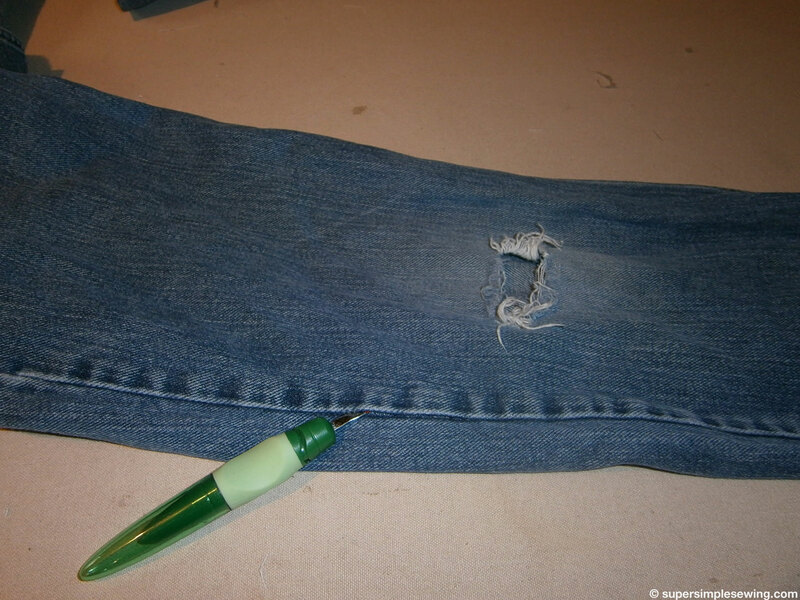 The last step is to resew the side seam closed while the leg of the pant is inside out. Now they are ready to wear.